We always like to go in Brodocz and that's why we place 100 do not understand (currently) among the restaurants in BS. The salads are sharp and very varied fish-and-chips a cheaper alternative and very tasty, the changing fish each time super. Special memories: Carp pieces with a mild sauerkraut at Christmas time! And rarely eaten a good foie gras. 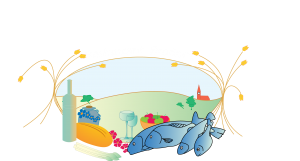 http://restaurant-brodocz.de/wp-content/uploads/2016/12/brodocz_logo_120.jpg 0 0 admin http://restaurant-brodocz.de/wp-content/uploads/2016/12/brodocz_logo_120.jpg admin2014-07-09 22:13:042017-01-20 14:55:42"Excellent!"